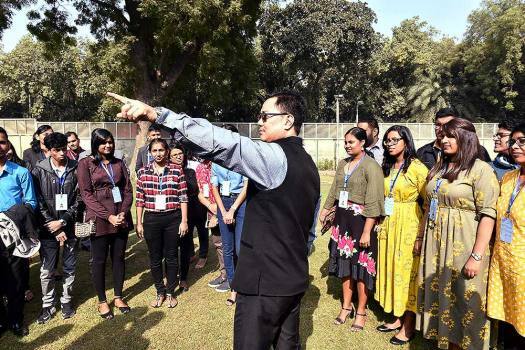 MoS for Home Affairs Kiren Rijiju interacts with a group of 40 Indian-origin youths from eight countries who are touring India under 'Know India Programme', in New Delhi. 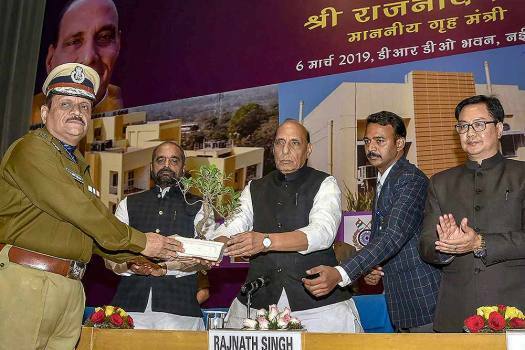 Union Home Minister Rajnath Singh addresses at the launch of the Cyber Crime Prevention against Women and Children (CCPWC) portal, in New Delhi. 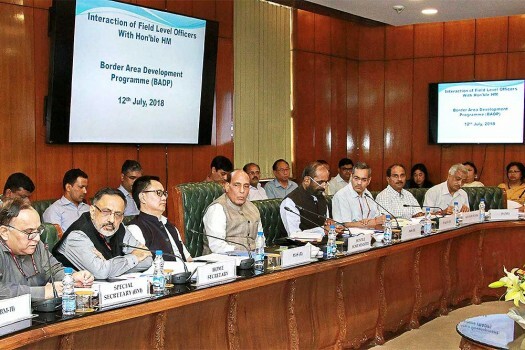 Delhi Lt. 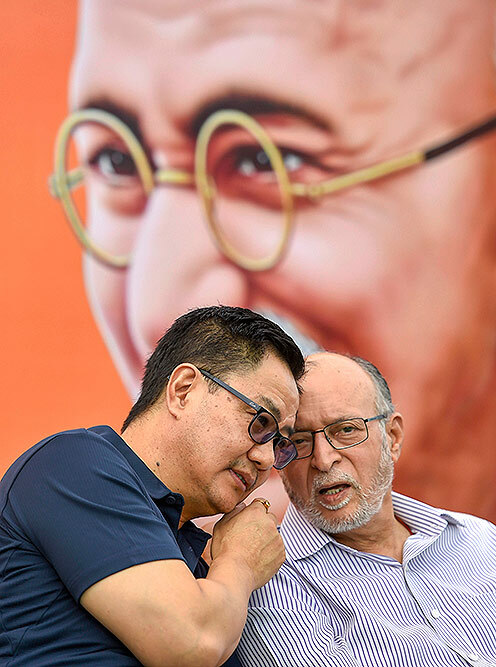 Governor Anil Baijal speaks with MoS Home Kiren Rijiju during 'Swachhta Hi Sewa' campaign in New Delhi. 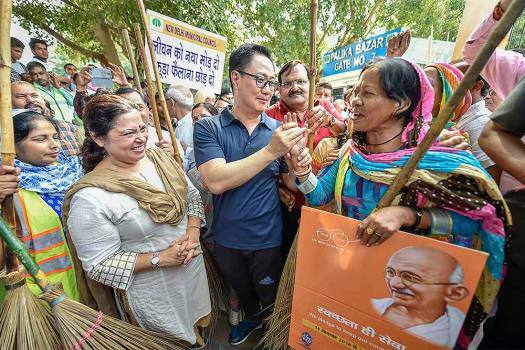 MoS Home Kiren Rijiju with BJP MP Meenakashi Lekhi during 'Swachhta Hi Sewa' campaign in New Delhi. 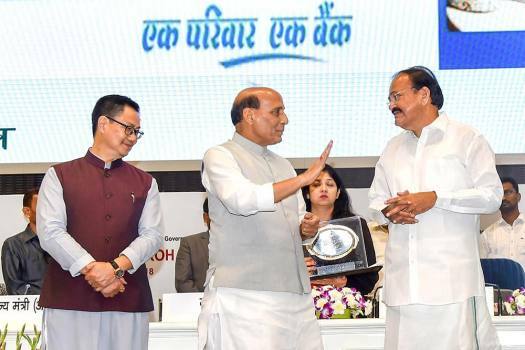 Vice President Venkaiah Naidu, Home Minister Rajnath Singh and MoS for Home Affairs Kiren Rijiju during the Hindi Diwas Samaroh 2018, in New Delhi. 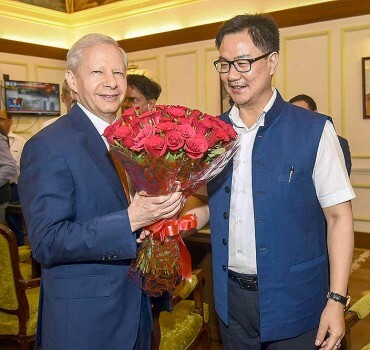 American Ambassador to India Kenneth Juster calls on Minister of State for Home Kiren Rijiju, in New Delhi. 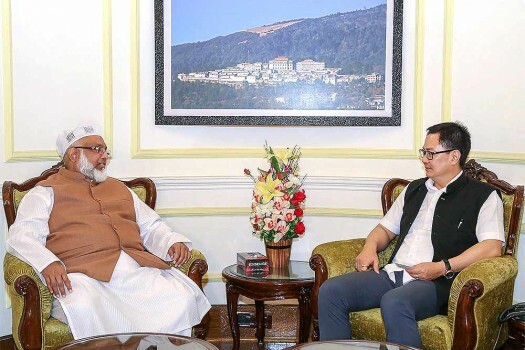 Union Minister Kiren Rijiju meets MP and Chairperson of Bangladesh Tariqat Federation Al Haj Syed Nazibul Bashar Maizvandary, in New Delhi. 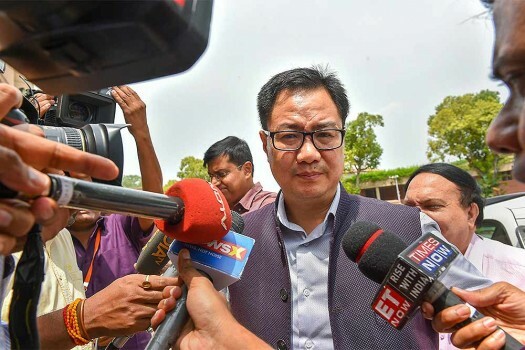 Union Minister of State for Home Affairs Kiren Rijiju speaks to media during the ongoing Monsoon session of Parliament, in New Delhi. 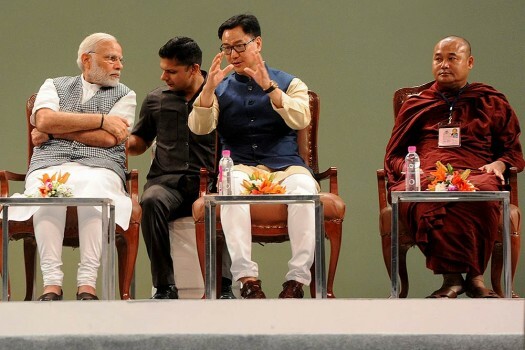 Prime Minister Narendra Modi with Minister of State for Home Affairs, Kiren Rijiju during the inauguration of Buddha Jayanti Celebrations, in New Delhi. 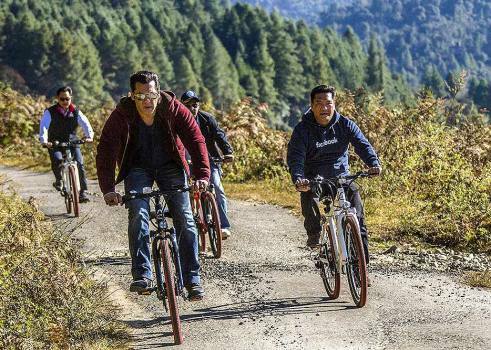 The day is observed to pay homage to the 10 policemen killed in an ambush by Chinese troops in 1959 in Ladakh's Hot Spring area. 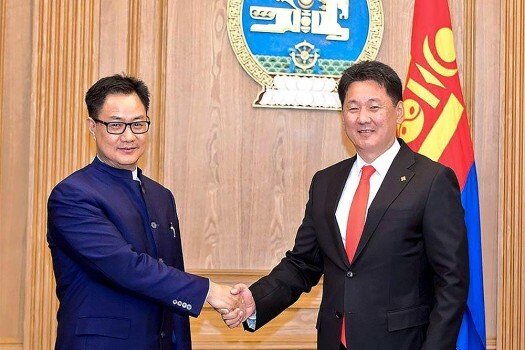 Union minister Kiren Rijiju also demanded that the Congress apologise for Tharoor's comments. 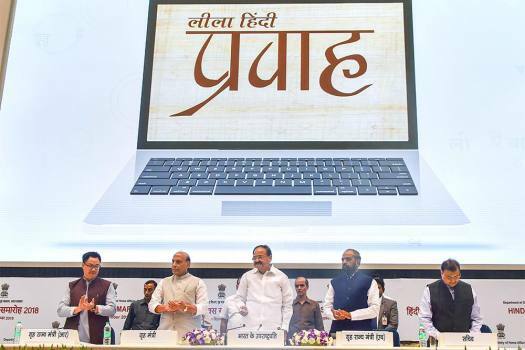 Speaker Sumitra Mahajan said the minister has rectified himself and it was a slip of tongue which can happen. 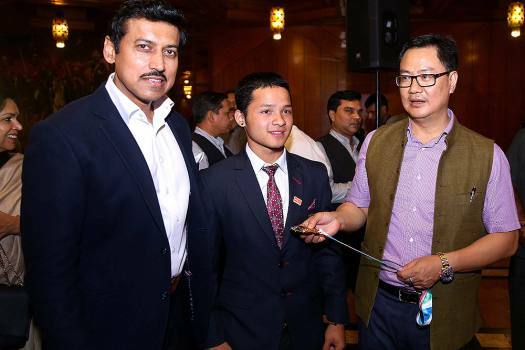 Raja Singh's comment came amid debates over the National Register of Citizens (NRC), the final draft of which was released on Monday. 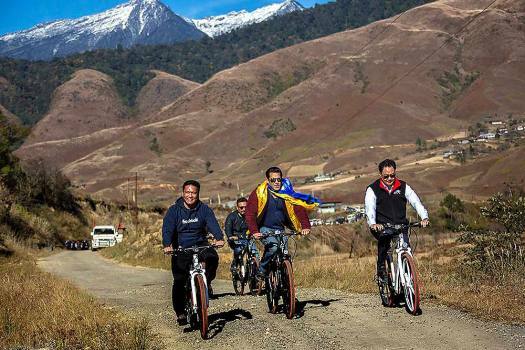 Beef is a staple food in the north-eastern state. 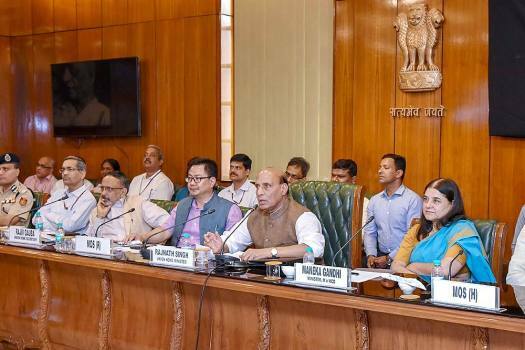 However, rules of the Prevention of Cruelty to Animals Act of 1960, which restricts the sale of cattle for slaughter, had come as an embarrassment to the BJP ally-- NPF(Naga People's Front) in Nagaland, last year. 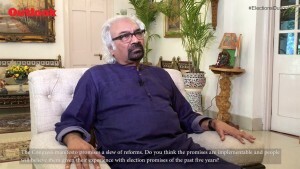 The poster was put up by Haseeb Ahmad. 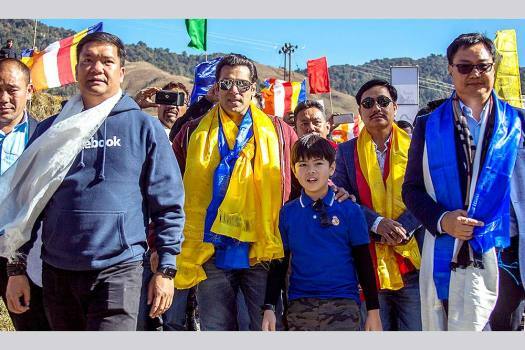 The poster also depicts Rijiju as a Kaurava, senior BJP leader LK Advani been portrayed as the blind king Dhritrashtra. 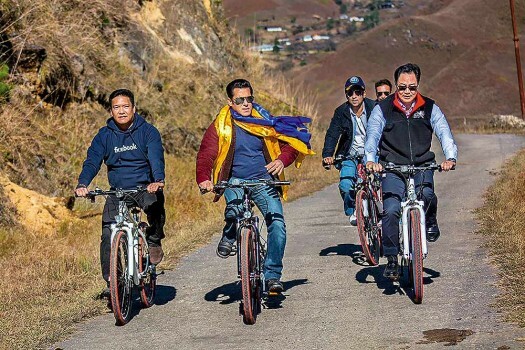 Rijiju had captioned the tweet as "Despite such vexatious laugh by Renuka Chaudhary ji PM Narendra Modi ji didn't get irritated." 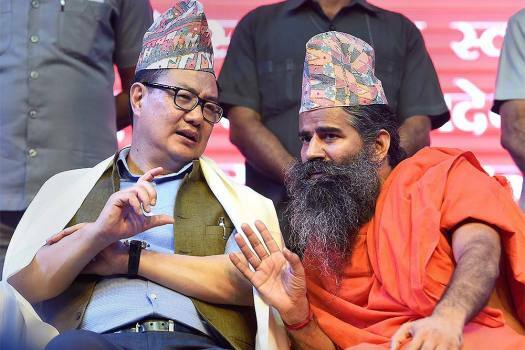 "We Can't Have Two PMs, Two Constitutions, But Talks With The Nagas Are Still Going On"
Minister of state for home Kiren Rijiju on l'affaire JNU. 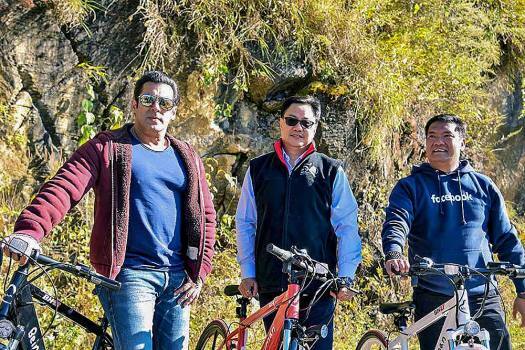 Someone even compared her with wanted gangster Dawood Ibrahim.